Each year RTG Medical uses Nurses Week as an opportunity to reach out and say thank you to all of their traveling nurse professionals. This year, they wanted to do something extra special – that's where we came in. 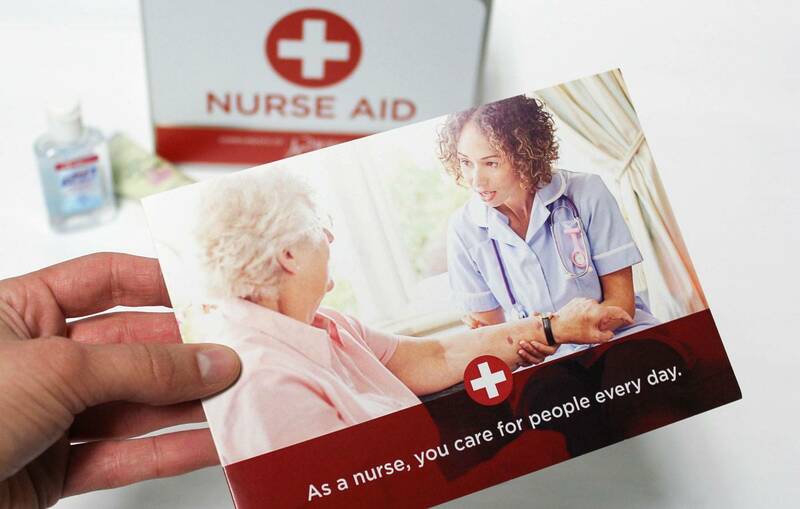 Iridian built a campaign to recognize the hard work that nurses do each and every day – taking care of people. 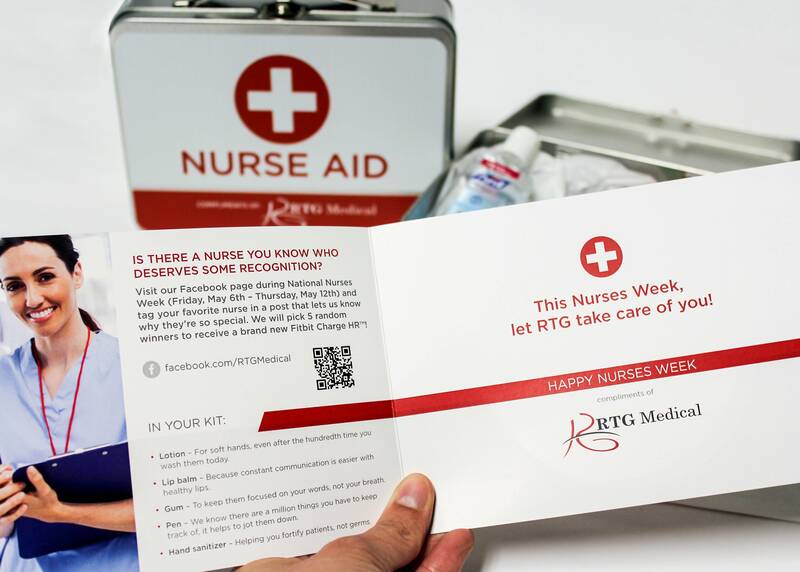 To recognize that hard work and dedication, RTG wanted to take the opportunity to take care of their nurse travelers with a special pampering kit. The kit included luxury lotion, lip balm, hand sanitizer, gum and a pen all packaged up in a retro lunch tin with graphics resembling a FirstAid kit. In addition to the physical component, we also created an online giveaway component in order to recognize 5 lucky nurses throughout the week. The giveaway allowed for the nurses, along with all of RTG's Facebook followers, to nominate a special nurse to win a FitBit ChargeHR each day.